The research experience is often imagined to be impersonal and isolated: anxiety-ridden scholars reading alone at their desks. Last Sunday, the launch of the journal’s first print issue proved this to be far from the truth. Researchers, writers, and friends came together to share their own peculiar experiences and to enjoy the curious connections between our work. It was with this aim in mind that we created The Still Point Journal, and pushed for it to be published in print, as well as online. 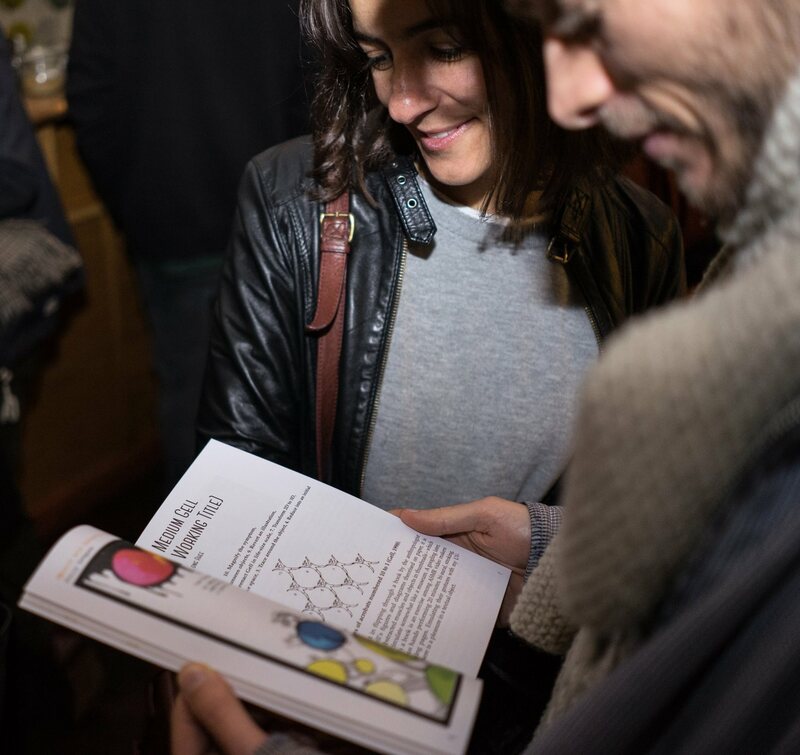 The event took place at the beautifully lit Gallery Café in Bethnal Green and featured live readings from our contributors and music from The Interiors. 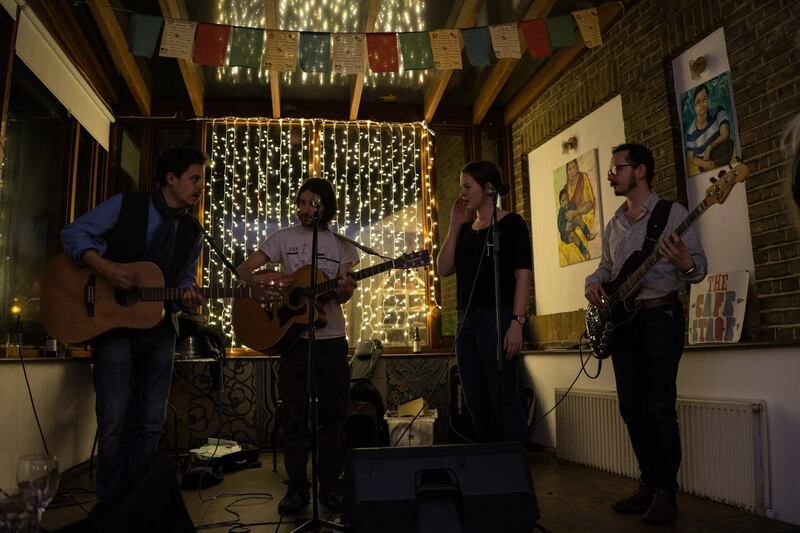 Over good wine and great music, people were put in dialogue with one another in an informal, relaxed setting. Hearing the stories and poetry read aloud introduced a new tone and rhythm to the words, helping to continue conversations and start new ones, as well as put faces to pages. It was a showcase of everything we had hoped to achieve. The evening was also a celebration for us personally: a culmination of twelve month’s worth of planning. We have thought about, written about, and talked about The Still Point Journal in various ways. There were initial emails asking if anyone was interested in setting up a new literary journal that would offer space to explore our research creatively. There were conversations in coffee shops, corridors, and wine bars, where we argued the pros and cons for keeping the word ‘The’ in the title. There were submission deadlines, all-day proofing sessions, and design meetings. 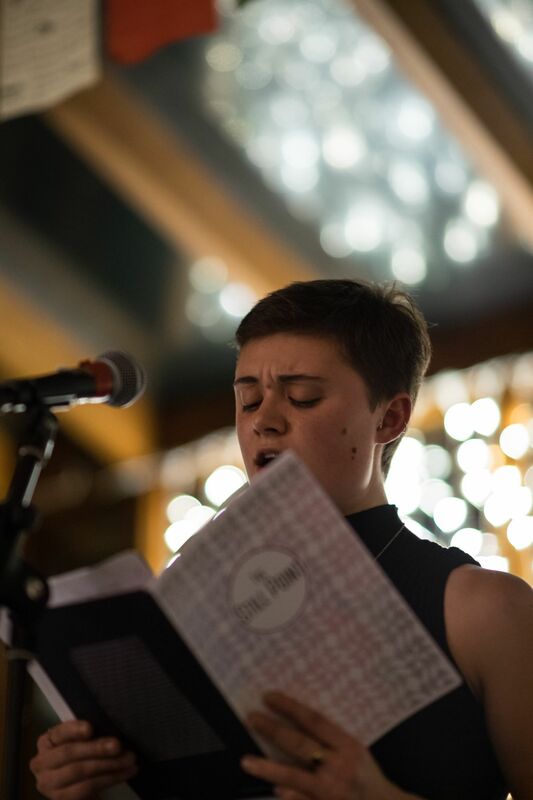 There were ‘Still Point’ events: afternoon poetry readings and evening art exhibitions. Now, finally, it’s officially launched as a print journal. It is, in fact, so official that it has it’s own ISSN number and a copy will be kept in the British Library. 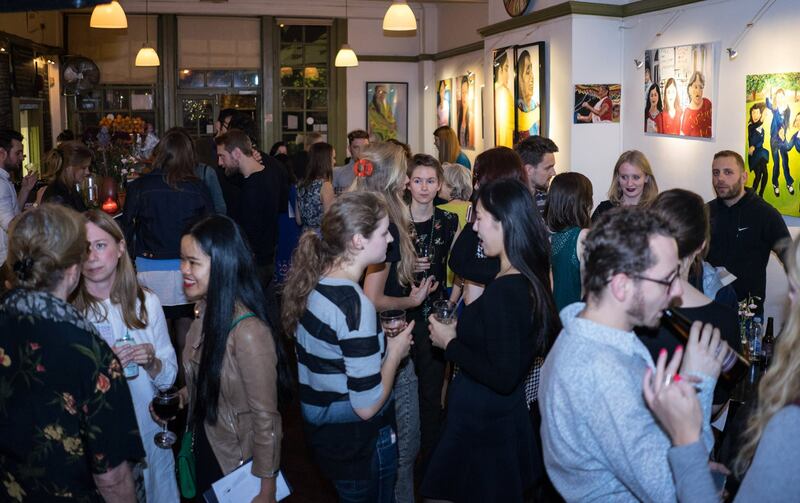 A brief round of thanks: to The Gallery Café for letting us take over; to The Interiors for providing the soundtrack to the evening; to sound engineer Natan for stepping in last minute; to the designers and contributors; and to all who came to celebrate with us. Photos by Christopher Webb, view them all on our Facebook page. 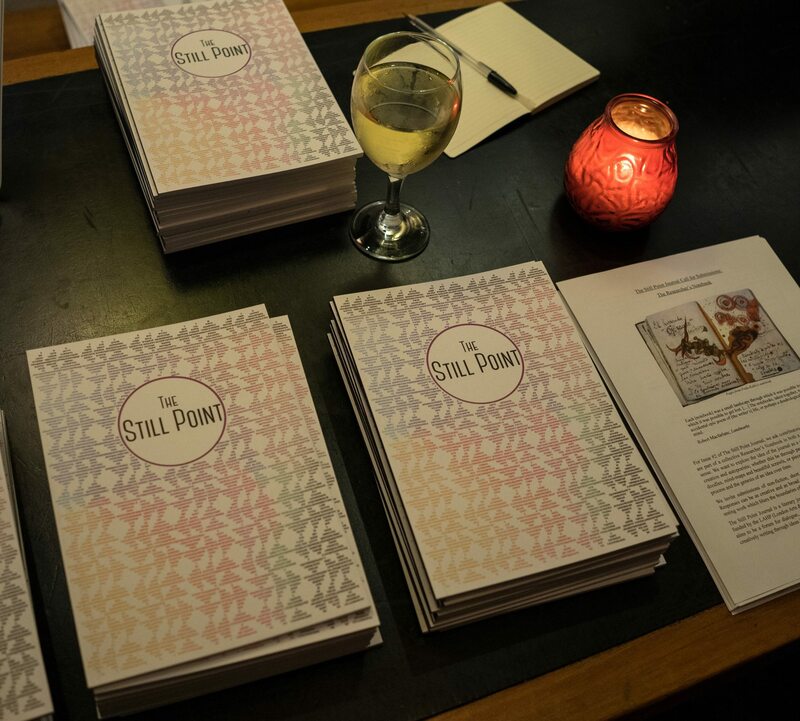 Three CLAMS PhD researchers – Francesca Brooks, Charlotte Rudman, and Fran Allfrey – have been involved in launching ‘The Still Point’, a new journal for arts and humanities researchers. Take a look at the first issue!